Suzuki posted a 3.3-fold increase in sales in the six-month period over a year before to about 3,600 units, thanks to locally produced vehicles with more affordable prices than imported vehicles, said Keiichi Asano, President of Suzuki (Myanmar) Motor Co. The Japanese company started local production in 2013. In January this year, it started operations at its second plant in the Thilawa Special Economic Zone on the outskirts of Yangon to increase local output. Suzuki has registered robust sales of the Ertiga multipurpose vehicle and Ciaz sedan with prices ranging from 23.17 million kyat (US$15,000), over 20 percent lower than those of imported similar vehicles. Suzuki's two plants are operating at full capacity and the automaker is now on the verge of deciding to further expand local production capacity. In the Myanmar auto market, Toyota Motor Corp., Japan's largest carmaker by sales volume, holds a market share of about 20 percent, according to a spokesman at Toyota Motor Asia Pacific Pte. Ltd., its regional headquarters in Singapore. 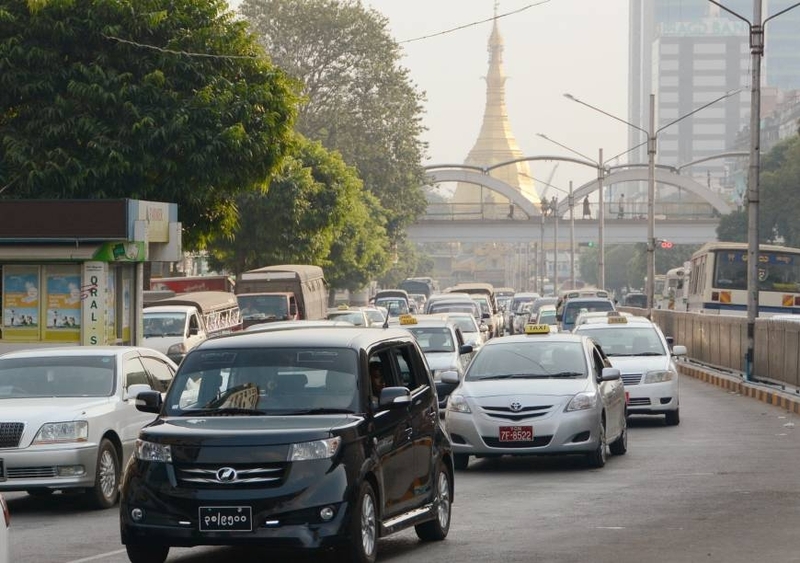 According to ASEAN Automotive Federation, new car sales in Myanmar in the first half of this year more than doubled over a year before to about 6,800 units. The annual total is likely to top 10,000 units for the first time.